Herakleia ancient town on the skirts of LATMOS ‘Five fingered mountain’ (Besparmak dag) LATMOS which appear after a sudden twist in the road. Latmos mountain in the early morning the mountains seem softly pink, becoming purple towards evening, but always changing and never exactly the same from day to day. Often misty from the summer heat, these fingers seem to point to heaven, or Olympus, with the authority of long geological ages. In early times there was a deep bay here called Latmos Bay but The River Meander created the rich alluvial plain of Soke by meandering all over the valley and causing the inhabitants of Ephesus, Priene and Miletus to dredge, relocate and finally abandon their towns as the harbours silted up. An enormous earthquake in AD 17 finally cut of the gulf off from the sea and Lake Bafa was born. Lake Bafa is 25 kms from Soke and is S.E. of the River Menderes delta in the Milas-Bodrum direction. It covers an area of 7,000 hectares and is 25 m. deep at its deepest point with typical Mediterranean vegetation along its shores. The source of the 560 km long River Menderes which feeds the lake is 1,000 m up near Afyon’s Dinar town. It has numerous tributaries and flows to the Aegean near Soke. If You are travelling by public transport, take any bus going to Bodrum. If you want to get to Herakleia by road, get off at Camici (Bafa village after the road leaves the shoreline of the lake), look for the yellow signpost and then you can wait for transport or walk). As the sun rises, so the lake’s islands become visible, the biggest of which are Ikiz Island, Menet Island and Kahve Asar Island. 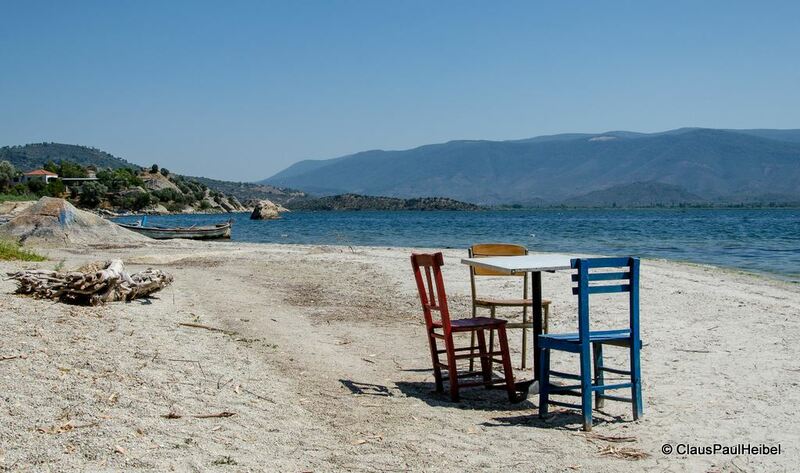 Travellers using public transport are advised to get off at the sign marked Kamping where are a simple restaurants with basic camping-pension facilities and a small boats which can be hired for a tour of the lake, or to take you to Herakleia. There are many different choices of accommodation facilities at the lake side. Such as small hotels called pansiyon in Turkish (or pension) or bungalows. “Ceri’nin Yeri” a very known restaurant probably the oldest at the Bodrum – Izmir high road. Directly opposite the restaurant are the remains of a Byzantine monastery, originally built on an islet. There are a number of Byzantine monasteries-chapels in the lake. The tiny islands which hold the ruins are now probably of more interest to bird watchers than art historians. The lake is also listed as a bird sanctuary. In winter hundreds of thousands of ducks and aquatic birds migrate here. Of the 208 species that live here, 68 also breed here. Crested pelicans are the most important as they are nearing extinction with only 2,000 left in the world and this is their third biggest colony. The area has been declared a nature park of some 12,281 hectares. It is a haven for nature lovers with picnic areas, camp sites, bird-watching posts and trails but uppermost on the agenda is replacing the fish stocks. Local fishermen maintain that a species of eel migrates across the Atlantic ocean from the Gulf of Mexico to spawn in the waters of Lake Bafa, swimming upstream through underground channels of river Meander to get there for breeding time. Next to the lake is an ancient town called Herakleia which dates back to the 5th century BC. It was a member of the Attika Delos Sea Union and was used until the end of the Middle Ages. Around 1000 BC a small town called Latmos was established here but was engulfed by Herakleia during the Hellenistic period (300 BC). There is a long tradition of mysticism surrounding the area. In pre-Greek times the highest mountain was called Mount Latmus (Latmos), at a time when ‘Lat’ was the name of the moon goddess. According to Greek mythology a handsome shepherd called Endymion lived on the slopes of Mt. Latmus. Camera, Comfortable shoes, hat, bottled water and cash money are the musts… Between Söke and Didim Central there are no cash machines. If You are travelling by rental car, etc. There are many petrol stations on both sides of the road. 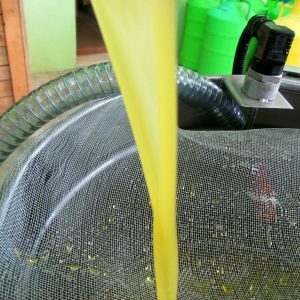 When You approach Camici or Bafa town recognizable with its olive oil press fabrics and car showers located in front of nearly all restaurants by the main road follow the yellow sign post Herakleia. There a accommodation facilities along the Lake Bafa, you can make a reservation through their web pages that most of the pension or hotels also provide transport, boat tours, etc. If you are accommodating at Bodrum or Kusadasi or Altinkum, Tour Operators and Local travel agents also organize Bafa Lake – National Park tour as Daily Excursion in their tour program. There are pensions (small hotels) and restaurants around the Lake Bafa also providing food for visitor groups and boat trip excursions along the Lake Bafa.